North Florida Anesthesia Consultants (NFAC) was founded in 1990 in Jacksonville, Florida with the mission of building a cohesive, high quality anesthesia group to serve St. Vincent’s Healthcare. We have seen steady growth and now have 35 board-certified anesthesiologists and 33 CRNAs and anesthesia assistants (AAs). NFAC provides quality service for approximately 70,000 anesthetics per year. Our primary facility is the St. Vincent’s Healthcare system, a rapidly growing and high quality 900-bed hospital system comprised of the Riverside, Southside, and Clay County campuses. We cover a variety of facility locations all over northeast Florida, including Duval, Baker, Clay, and Union Counties. We provide anesthesia for a wide range of cases including complex cardiac cases, neurosurgery, orthopedics, pediatrics, and OB/GYN. We also have a robust office-based and ambulatory surgery center business, providing anesthesia for many surgery centers and physician offices in the Jacksonville area. Our clinical philosophy is built upon three guiding principles: clinical excellence, compassionate care, and world-class service. These principles allow us to achieve a higher level of quality services when dealing with patients, surgeons, and administrative staff. Learn more about us below and contact us to get started. Our anesthesiologists are all board certified and have graduated at the top of their class from some of the best medical schools and anesthesia residency programs in the country. We are leaders in our fields and bring a robust depth of subspecialty anesthesia care to the operating room. We are not just anesthesiologists; we are true perioperative physicians. We stay at the forefront of medical knowledge our through our commitment to lifelong learning and application of evidence-based medicine and proven clinical protocols to our practice. We continually track our quality and performance, including patient and surgeon satisfaction surveys to maximize the perioperative experience for the patient, surgeon, and administrator. See what our surgeons are saying. Because we realize that having surgery can be an intimidating experience, our physicians are dedicated to fostering a compassionate and caring atmosphere for our patients throughout the perioperative process. We are also committed to the mission of St. Vincent’s Hospital and the community we serve. To that end, North Florida Anesthesia Consultants continues to support the physician giving society and St. Vincent’s Foundation, as well as many other charities that directly impact our community. Many of our physicians participate in medical mission trips and many have leadership positions within their community. See what our patients are saying. Our physicians are devoted to providing the best service possible. We are collaborative partners who work tirelessly with our surgeons and facilities to continually streamline and improve efficiency while minimizing delays and cancellations. 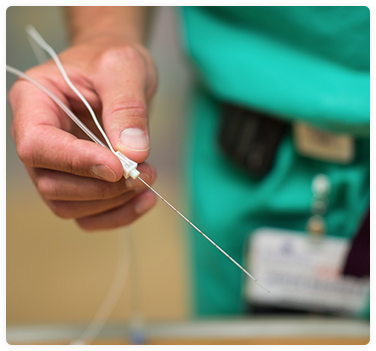 We are responsive and attentive to the small details that matter the most in maximizing perioperative efficiency. See what our administrators are saying.